DC Carpet Cleaning offers many residential and commercial cleaning services, one of which is wood floor cleaning and refinishing. 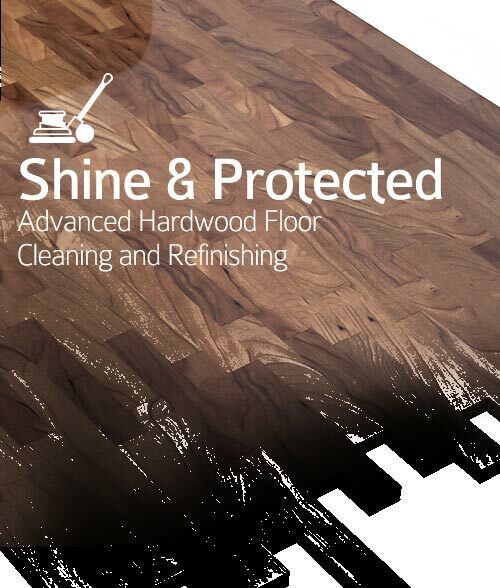 We employ highly qualified craftsmen that will leave your wood floor looking shiny and fresh, like they were just installed. There are many reasons for choosing to install, or refinish, hard wood floors. For one, it is a natural resource that is fully renewable and is an environment friendly choice. In addition, it can be argued that they appreciate in time, adding value to your real-estate investment. And, of course, it is attractive and appropriate for practically any decorating style. Wood floors are also easier to rehabilitate than any other type of flooring choice. A badly stained, discolored or damaged carpet must be replaced. Broken or chipped floor tiles can be replaced, but only if you can find tiles that match those already installed. When it comes to wood flooring, however, stains, cracks, discoloration, and even warping are all problems that can be easily resolved with the help of DC Carpet Cleaning. Before beginning, all furniture must be removed from the room. Not only will this allow access to all parts of the floor, but the process is a dirty one, and could cause damage to furniture. If there are large pieces that cannot be moved, or built-in furnishings, care should be taken to completely seal them off with protective plastic sheeting. During this phase, all surface residues are gently sanded off. The floor will be sanded several times, each time with a finer grade of sand paper. Sanding generally resolves scratches, stains, and discoloration. Badly scarred or warped floors, however, require additional treatment. Typically, scars and gouges that do not disappear during the sanding process must be treated with wood filler. After repairs, floors may require additional sanding. In some cases, staining is required. This process changes or corrects floor color. Great care must be taken to apply the stain evenly or the result will be an uneven looking floor. In this phase, at least two coats of floor finish are applied to provide the required gloss and to seal and protect the floor from wear. Wood floor finishes take several hours to dry, and each coat must dry before the next is applied. DC Carpet Cleaning is available at 202-683-4270 . Call us at any time for wood floor cleaning, restoration or even for an advice to help maintain your floors, you will be happy with the results, we guarantee it. Looking for more information? Have some questions regarding your wood floor refinishing process? Please visit our FAQ page to find out the answers you were looking for.